I got a few bits and pieces done – working on my display wedding cake, which I’m pretty excited about. 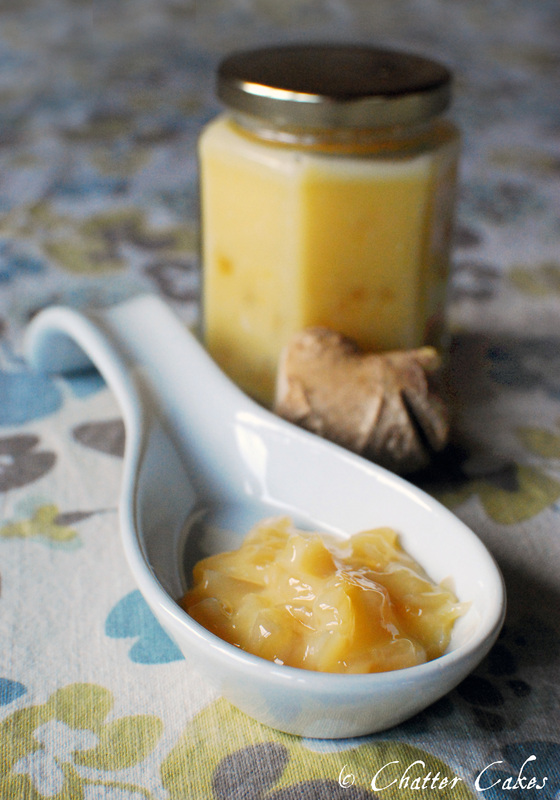 I also decided to make something I previously have mentioned…Ginger and Lemon curd. OM. It was actually really quick to make! It is still setting in the fridge as I write, so I’ll have to comment on the taste next time. The ingredients are: 100g sugar, 125g butter, 2 large eggs & 2 yolks, 50ml ginger syrup from jar of stem ginger, 7 finely sliced bulbs of stem ginger and juice of one lemon. Gently melt the butter and sugar together, and then add the eggs. Stir continuously until it starts to combine, then add the syrup, ginger and lemon juice. Pour into prepared, sterilised jars and leave to cool down. Once cool, put into the fridge to continue to set! Ooh, Glenn has just turned up with some scrambled eggs on toast! Yummm.